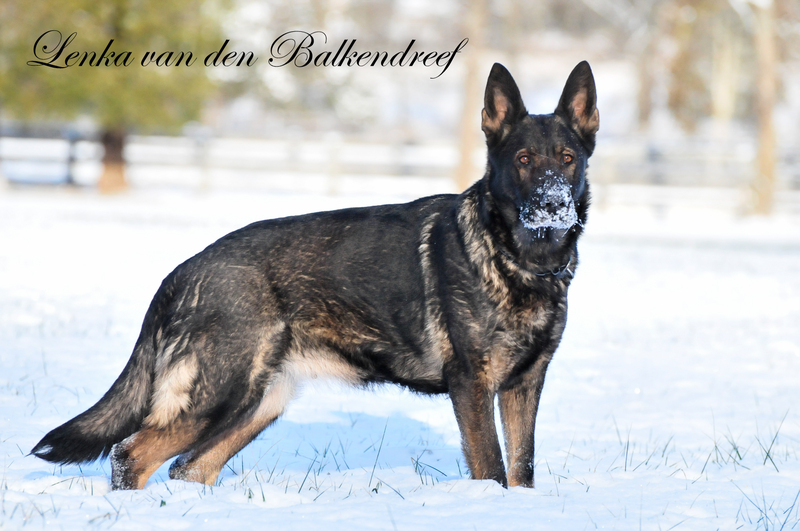 I offer the highest quality German Shepherd Puppies from top German & Belgium Bloodlines. 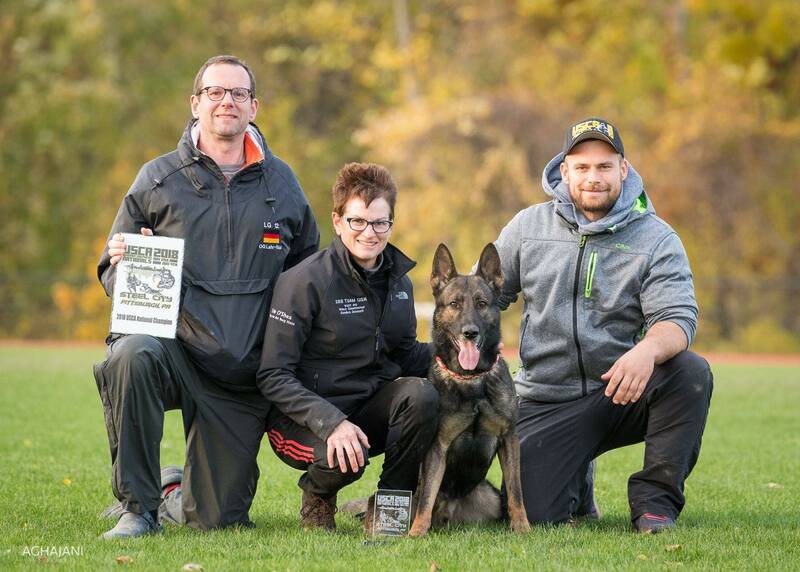 I breed & title dogs in Schutzhund(IPO) that have OFA hips/elbows or A-stamp hip/elbow ratings. All my German Shepherd Puppies will be socialized, traveled in the car, started in the crate for the car. 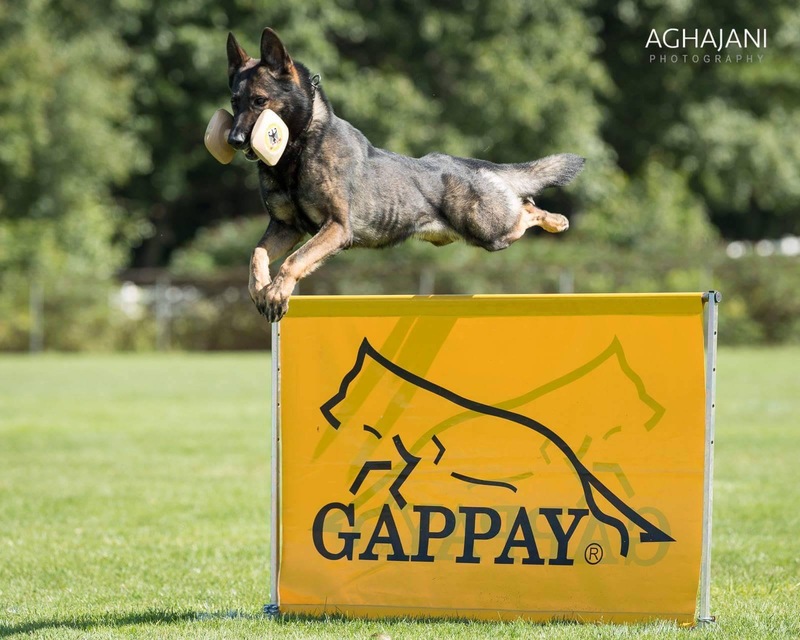 I test ALL our German Shepherd Puppies before placement to ensure you get the most suitable match. We feed our Puppies the very best in puppy food. We offer free puppy imprinting for you, our puppy buyers. I have a training group that meets at my training field numerous days a week. This training is free until your puppy is six months of age. This includes, consultations via email or phone, house breaking, puppy socialization, Puppy Obedience, Tracking Imprinting and competition sport (IPO) imprinting. 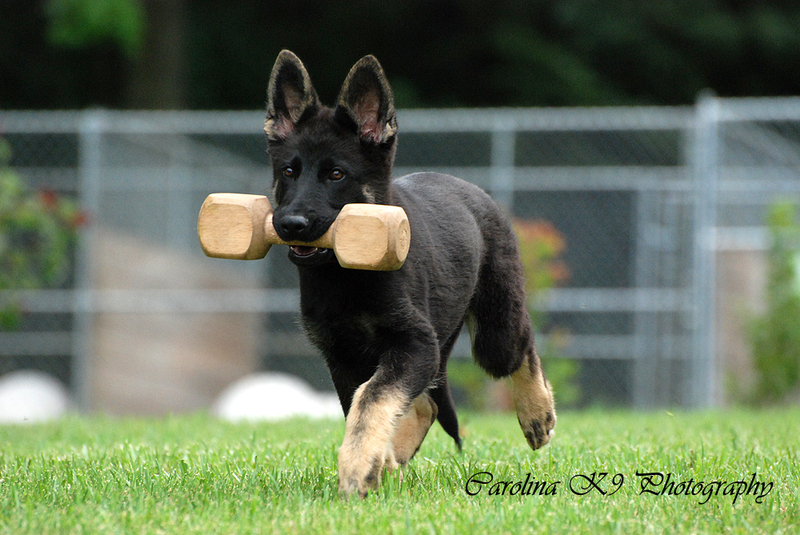 Our German Shepherd Puppies are normally priced $2,000 - $3,500 with Hip/Elbow/Health Guarantees. 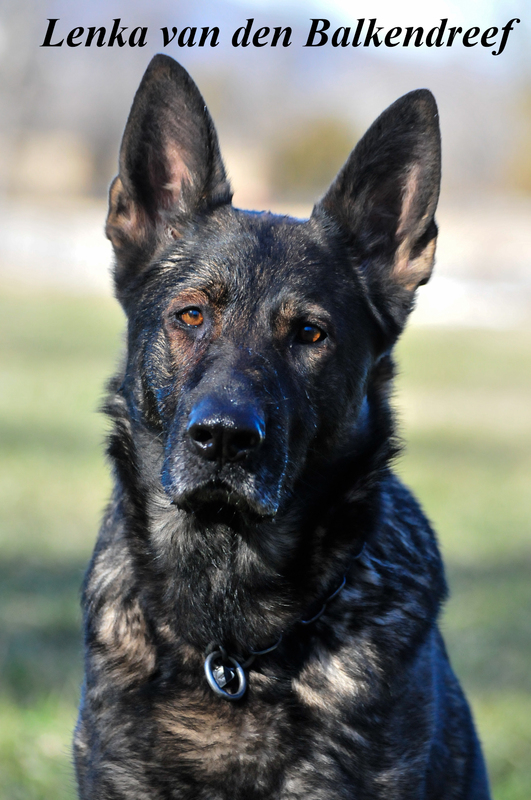 Deposits are $500, they are transferable to a different litter but are a non-refundable deposit. 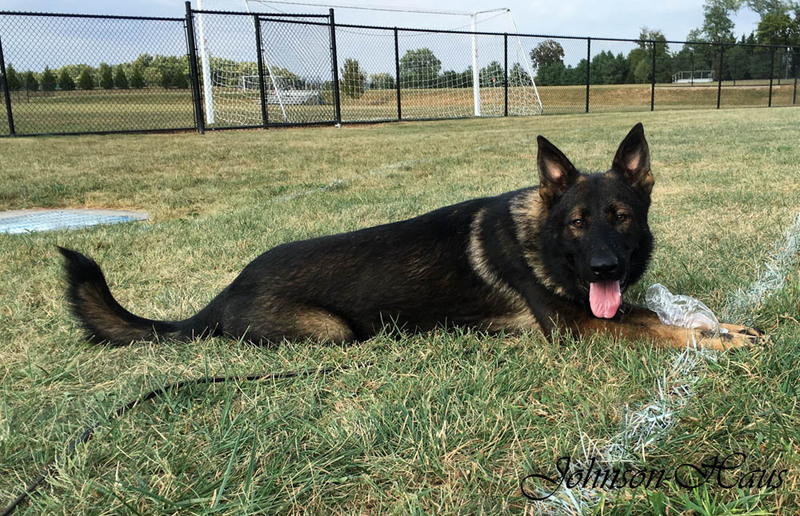 If your German Shepherd puppy needs to be shipped, normally shipping a puppy is $350-450.00 within the US. I have an International Airport 45 minutes from my place. I do not charge an additional fee on top of airfare, crate and health certificate costs. I have shipped many dogs & puppies to their new homes both internationally and within the US, without encountering any problems. Confirmed Pregnant. Due date Apr 23rd. We are excited to announce Quenta's litter. Quenta is sister to my male Quattro and is one masculine female. 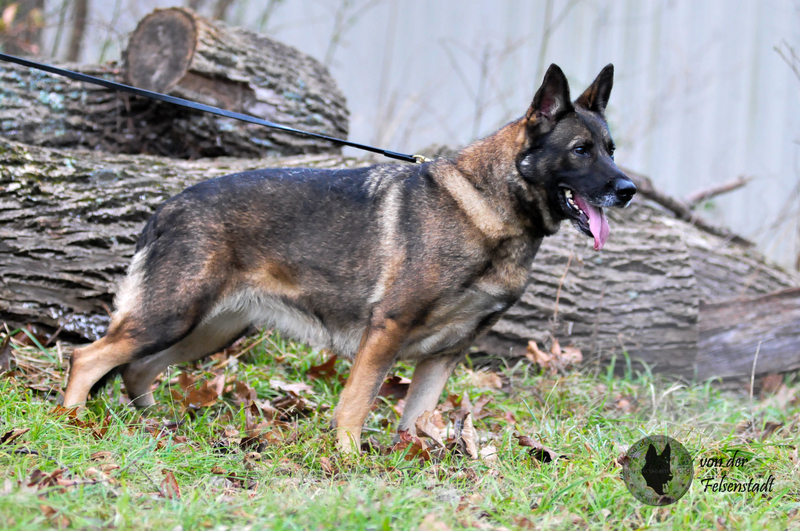 She has a completely open temperament and is a bold strong female . !